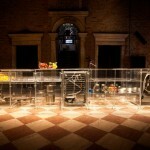 BIO LAB KITCHEN design is inspired from the idea of creating sustainable product by manipulating the biological system. 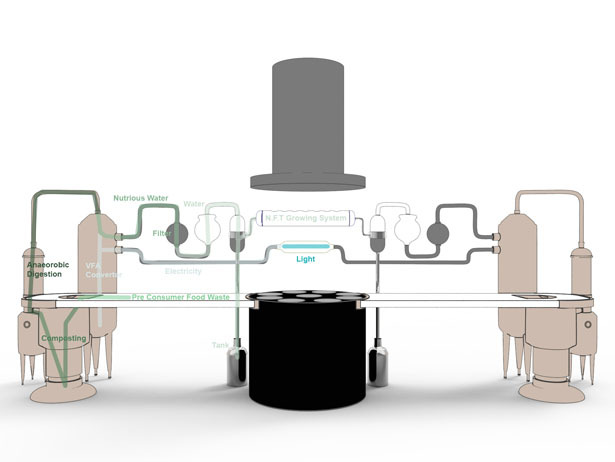 It uses special bacteria that ferment the food waste composts to create water and energy source. Sustainable Agriculture and Food Waste research topic is one of grand challenge Initiatives of the Coventry University (Coventry University, 2014). The roots of the problem come from the domestic and hospitality sector. 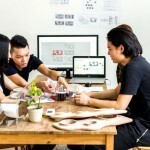 Initial idea was to find out the solution to avoid food waste problem in hospitality sector, especially in restaurants by design. 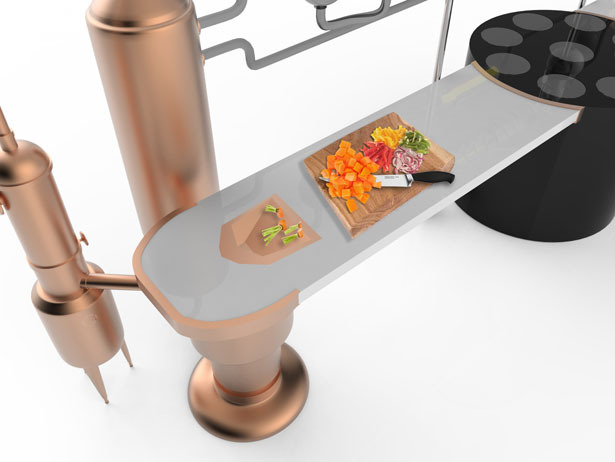 In Coventry University, Industrial Product Design MSc Course designer Selin Koşağan and leading tutor Clive Hilton started their design journey for creating a sustainable kitchen to avoid the wastefulness and reduce the food waste impact on environment. It was discovered that food waste generation in food preparation stage (pre-consumer waste) has potential reduce by producing bio-electricity. By the results of the research, it is possible to produce bio electricity out of the peelings from vegetables and meat products. Special nano-bacteria can generate fermentation from food waste compost to create bio chemical reaction which can be transformed into bio electricity. At the end of the recycling process electricity and nutritious water come out as a result. 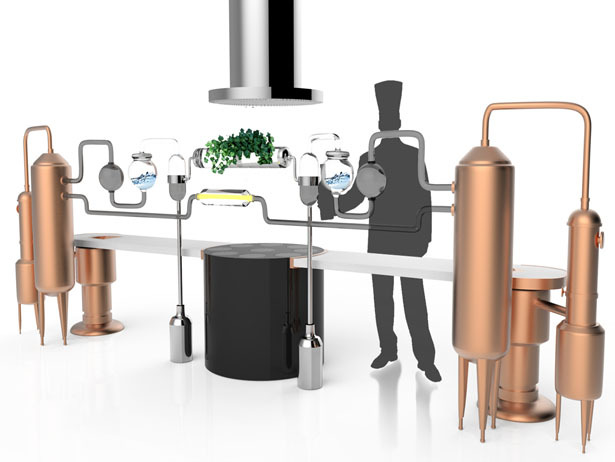 BIO LAB Kitchen is designed by user experience and aesthetic concerns to generate a whole biological cycle for preparing, cooking and recycling a system for open kitchen restaurants. 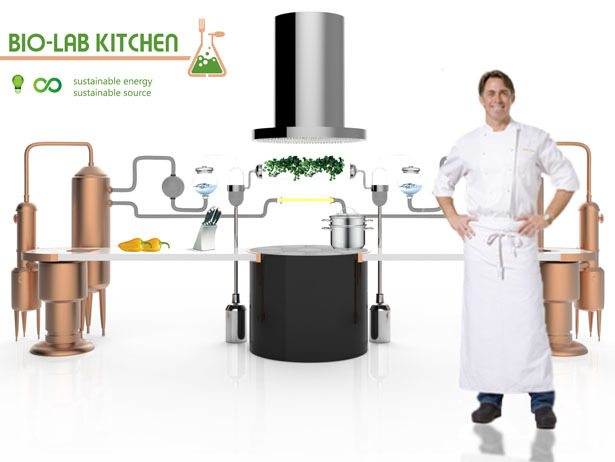 It is a sustainable kitchen which produces electricity from food waste. 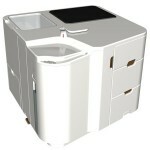 It was designed to place in open restaurants kitchen. It consists from 2 sided surfaces for chopping, preparing the food and two fermentation units, one cooker, one herb garden, one lighting. 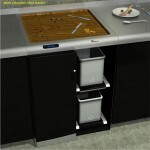 This system was designed all in one to present the journey of the food from preparing till the recycling. 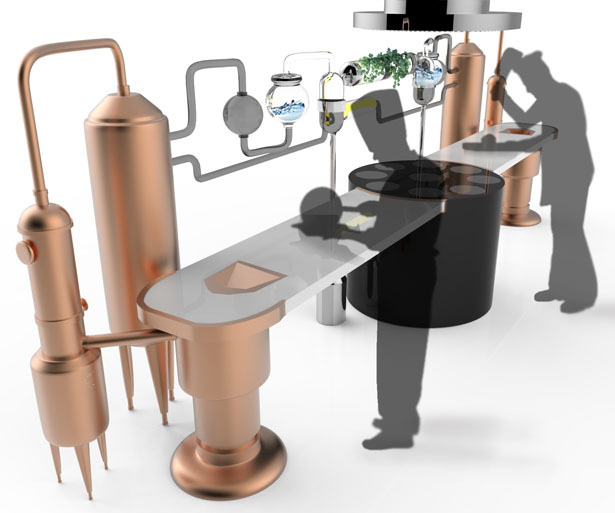 In terms of its functioning process, in Bio-Lab Kitchen food waste goes through the stages of composting, anaerobic digestion, VFA converter and goes out as; water and electricity. 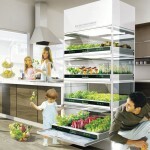 Electricity uses in the kitchen lighting system and water, after it is filtered, uses in the N.F.T herb growing system. Bio-Lab Kitchen has user friendly design for chefs by creating efficient working environment and allowing them to interact with each other. 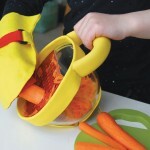 Moreover, chefs can be easily get rid of the peelings or other food wastes during the cooking process. 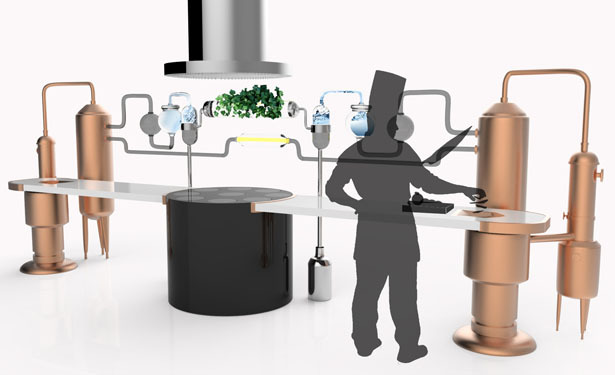 It is ideal to place in the open kitchen restaurants in that way customers can enjoy the watching, cooking and recycling processes. 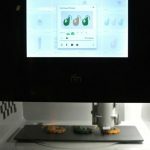 Customers can see chef while recycling process continues on the top part of the design cooking process can watch at the same time under it. Thus, chefs can be observed by the time of using fresh herbs from the little garden in the middle. 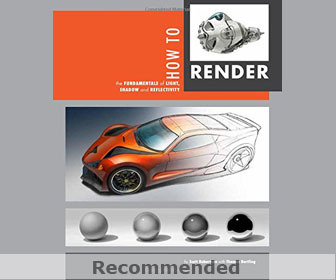 All the results and the process were designed in an obvious way to provide transparency for the clients. 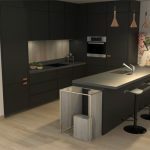 Tuvie has received “BIO-LAB Kitchen” project from our ‘Submit A Design‘ feature, where we welcome our readers to submit their design/concept for publication. 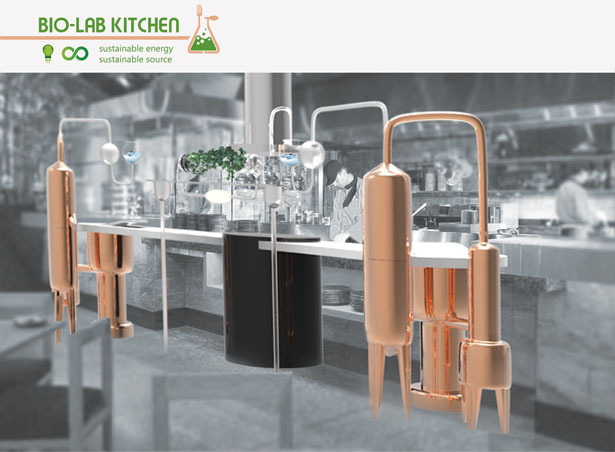 Tagged as bio kitchen food, biological cycle for food, food preparation system, open kitchen restaurant, recycling food waste.